Cover of the May issue. What’s the point of petitions? You can buy this issue from our website or at newsagents across the United Kingdom from 18 April. 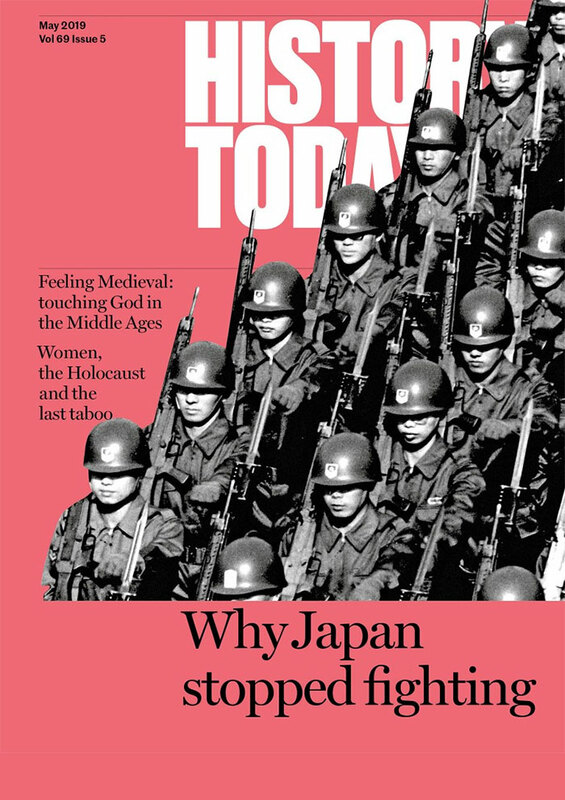 You can also subscribe or read it as a digital edition via the History Today App. Teenagers were agents of change in 1960s Britain, but the birth of youth movements such as the Mods was heavily indebted to the multicultural society from which they grew. Periods are a fact of life, but little talked about. How did women in the concentration camps cope with the private being made public in the most dire and extreme circumstances? After a disastrous Second World War, Japan abolished its armed forces and embraced pacifism. With renewed tensions in East Asia, can it last? The medieval world was incredibly learned, but how did its great bank of knowledge spread – from Classical Greece to the libraries of the East and from there to the bookshelves of England? West Africa, Vienna, freak shows, goulash. Consumption, pizza, Pocahontas, the DDR.